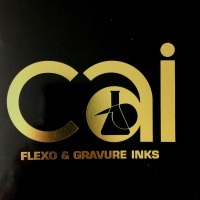 ​​CAI INC manufactures complete lines of water base and solvent base Flexographic and Rotogravure ink systems. These ink systems are used by the flexible packaging/paper board industry for a wide variety of printing applications. Our products have performed admirably on polyethylene films, polypropylene, polyester, saran-coated films, polyvinyl chorlide, foils and all forms of coated and uncoated papers. In addition to these pigmented systems, we also offer a wide range of Over Print Varnishes and Base Coats. At CAI INC we understand the importance of using high quality inks in the printing process. CAI INC skilled staff use advanced process tanks, dispensing systems and state of the art mills to ensure we manufacture high color strength, clean printing, trouble-free inks. Our lab technicians combine high standars with the latest technology to allow only high quality inks with excellent batch to batch uniformity be shipped to our customers. At CAI INC we provide you with product availability, prompt deliveries, tailor made formulations & color matches and technical hands-on press side assistance. Our large warehousing facilities enable us to ship most orders the same day they are entered. CAI INC chemists and sales staff offer years of printing press experience to help you with difficult or first time printing requirements.